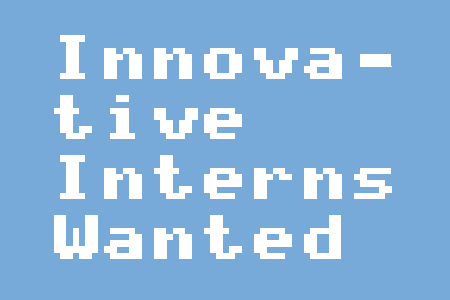 Job #1: (tech) We are looking for qualified and dedicated interns in the Silicon Valley area that can assist in design and preparation of soft circuit and interactive wearable technology garments for DIY workshops and show pieces. You will be assisting in the creation and design of interactive or technologically-enhanced fashions and fashion accessories that use conductive threads, fabrics, and sewable components. You can find out more about the designer and her work at www.alisonlewis.com . Job #2: (fashion) We are looking for a qualified and dedicated intern for garment and accessory creation for fashion DIY workshops and custom designs for fashion shows. You will be assisting in the creation and design of interactive or technologically-enhanced fashions and fashion accessories that use conductive threads, fabrics, and sewable components. You can find out more about the designer and her work at www.alisonlewis.com . 10 – 15 hours a week, but individual work schedules vary based on your availability. I just came across this today - are you still looking? Applicants, please send your resume and any portfolio samples to "a [at] iheartswitch [dot] com"
Where should we submit applications? What do you mean by ASAP?